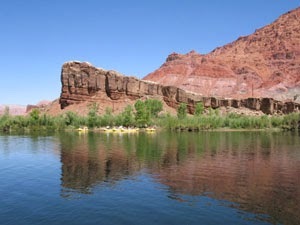 One of the greatest adventures you can have in the U.S. is rafting on the Colorado River in the Grand Canyon. Click the link below to read about my experiences camping and running rapids in this wonder of the world--and get inspired to do this yourself! in the Grand Canyon. The first of many spectacular sights.